Making sure your office or desk space is ergonomically friendly has become very important when buying furniture. For comfort’s sake, making sure your knees are at a 90 degree angle with your feet planted firmly on the ground yields the best results. A desk that is the same height as your elbows when seated is the best recommended position to prevent back pain from sitting for hours. But does the positioning of your desk and chair only matter in adulthood, or do we need to worry about our students as well? Ergonomics in the classroom is a very important yet overlooked factor in learning. According to a study done by the University of Manitoba Department of Kinesiology and Recreation Management, over 83% of chair and desk combinations at school are not suitable for body height. Having furniture that is not the correct size can harm blood and oxygen flow, and poor posture can lead to lifelong problems. Based on this handy guide from Smith System, the table and desk heights change up until sixth grade, where the size remains the same through high school. 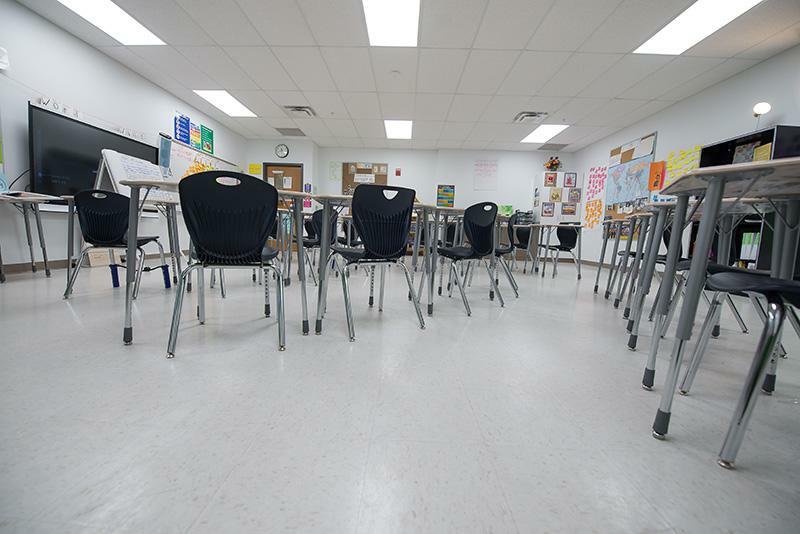 By investing in chairs and desks that are the correct size for each age group and making sure the taller students get the bigger chairs and desks, kids will have less health problems and be able to focus more than before.